There was a moment back in the 1990s when Leftfield were described by UK dance and clubbing magazine Mixmag as, “the single most influential production team working in British dance music”. In 2015, the notion of Leftfield being a ‘production team’ seems slightly disingenuous because the original partnership of Neil Barnes and Paul Daley is no more, with the former having separated from his musical collaborator after many years as a duo. In fact, Leftfield’s new album Alternative Light Source is the first since 1999, which makes it another one of those revived pieces aimed at capturing the attentions of ageing alternative club culture aficionados, desperate to reconnect with dance music of integrity and purpose, the kind that existed back in the halcyon days of when they were young. 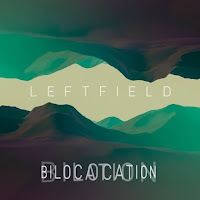 And what a comeback single, as Bilocation tips its hat at all that was bloody marvellous about Leftfield, incorporating a notable guest vocalist in Poliça’s ethereal voiced Channy Leaneagh, creating a dance track that sounds equally clinical, intimate and stupendously infectious. Just try not to nod your head as the rhythmical beeps and blips take over. Shame no-one bothered commissioning a music video.